Imagine a beach that’s full of simple pleasures, with an edge of sophisticated fun. See yourself at any Delaware beach on a quiet summer morning, strolling with coffee past galleries and cottages, or bicycling down a lonely seaside path. Think of the fun the day will hold – lying on the sand serenaded by the steady lapping of waves, knowing the evening will stretch gently before you, full of tasty moments at creatively inspired restaurants and tempting prizes at some kitschy-artsy shop. That’s the Delaware beach experience, unlike any you’ve had. 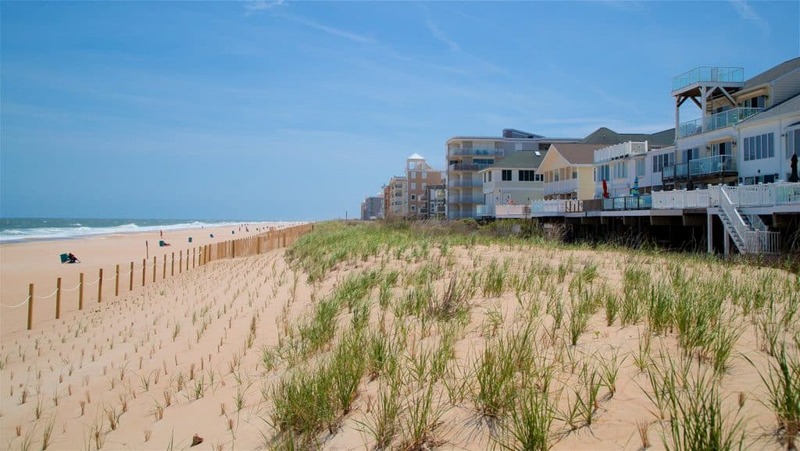 Each beach has its own personality, from fun-and-friendly Rehoboth to young-and-lively Dewey. Up and down the coast, two distinct lifestyles beckon at the Delaware beaches – the breezy ocean side action and the quieter bayside charm. Locals and guests to the City of Rehoboth Beach, Delaware claim this quaint and charming mile long boardwalk as one of the City’s best attractions. Flanked by eclectic shops, restaurants, business and family amusements, the boardwalk is one of the reasons Rehoboth Beach was named “The Best Family Beach on the East Coast.” Rehoboth Beach was named “One of the Nation’s 10 Great Coastal Boardwalks”, in Coastal Living Magazine, “America’s Best Boardwalk”, in American Profile Magazine, and “Top U.S. Boardwalks” in National Geographic Magazine. 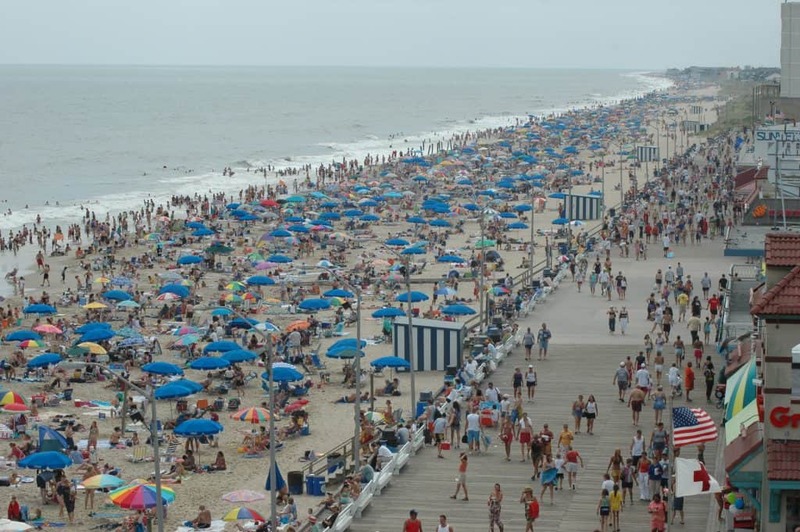 Rehoboth Beach is no longer a one season resort. Throughout the year, our boardwalk is a backdrop for festivals and events, fitness competitions or just a daily stroll by foot or bike. 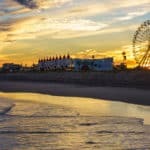 The day is made for sunny fun and the nights are made for revelry in Dewey Beach, which has always been proud of its rock-and-roll soul and its young-and-restless attitude. Blessed with ocean beaches on one side and a broad bay on the other, Dewey Beach is perfectly suited to those adventurous travelers whose idea of fun leans more toward jet-ski rides or a brisk game of volleyball on the beach. Others spend their days enjoying watersports, including boating, parasailing, wake boarding, water skiing, windsurfing, or even dolphin watching. The beach has lots to offer for entertainment and recreation. Take a walk on the boardwalk, relax by the water, or surf during allotted times. 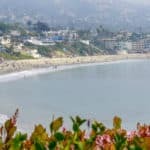 These activities and more make for a great time at the beach with family and friends. They also have bonfires on the beach Thursdays June 16th- September 29th from 8 – 10 pm on the beach off Campbell Place. Marshmallows and roasting sticks will be provided on a first-come, first-served basis while supplies last. Bonfires continue in September, except no snacks or sticks. move to Friday nights. The location will be on the beach or bandstand depending on the tide. Show time is at dusk. The Town of South Bethany is part of the Quiet Resorts of the Delaware Beaches. With so many choices for the entire family, the fun never stops! 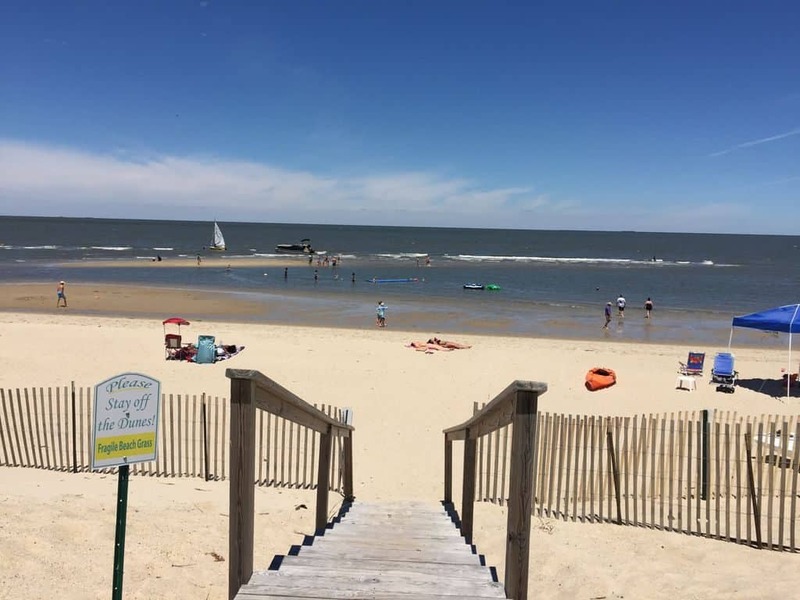 On the east side of town, relax and soak up the sun on our clean, wide, guarded beach, termed “the best little beach in Delaware.” This beach is ranked one of the cleanest in the nation. On the west side of town, enjoy boating, crabbing, fishing, sailing and kayaking from our 5-mile network of canals that leads to a beautiful bay surrounded by natural wetlands. Lewes, Delaware was first settled by the Dutch in 1631 and offers a wealth of historic, nautical and recreational activities that reflect on its location at the intersection of the Delaware Bay and Atlantic Ocean. Bay and ocean beaches in and near Lewes, Delaware provide swimming, fishing, boating and a host of other watersports. Beaches, nature trails, bird sanctuaries and the Seaside Nature Center can all be found at Cape Henlopen State Park just outside of Lewes. And the Cape May-Lewes Ferry is an unforgettable way to cross the bay from Lewes to New Jersey. 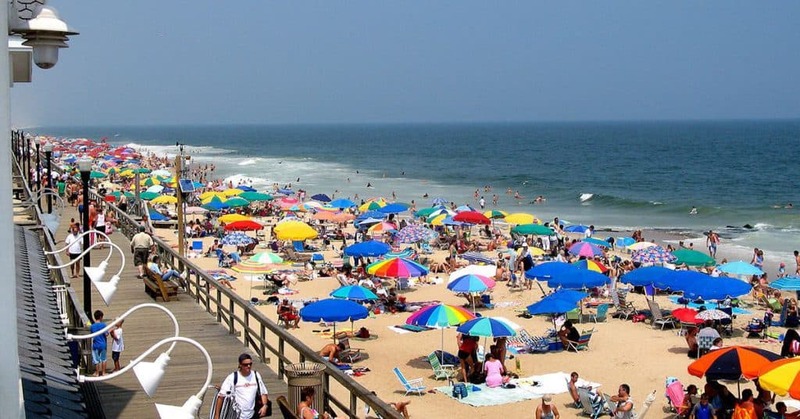 Situated between the popular resort towns of Bethany Beach to the north and Fenwick Island and Ocean City to the south, Fenwick Island State Park is a relaxing escape from the summer crowds. This three-mile stretch of barrier island is a playground of sand, surf, and sun along Delaware’s Atlantic coast. Today, Fenwick Island State Park invites visitors to enjoy 344 acres of peaceful ocean and bay shoreline. Naturally, swimming and sunbathing are popular activities on the ocean side of the park. The white sand beaches gradually slope into the Atlantic, creating a broad swimming area. Lifeguards patrol the swimming beach daily from Memorial Day weekend through Labor Day, 9am to5pm. One of the newest features at the park is the modern bathhouse, which offers convenient showers and changing rooms, a gift shop, and a snack food concession. During the summer months, umbrellas, chairs, and rafts may be rented on the beach. Surfers can catch the big waves at Fenwick Island, too, as the park has one of the few beaches in Delaware with a designated surfing area. The ocean beaches are also a favorite spot for surf fishing. Three dune crossings provide fishing access for vehicles with the proper permit to drive onto the beach. Surf fishing vehicle permits may be purchased at the bathhouse gift shop during the summer, or at the nearby park office at Delaware Seashore State Park. It’s one of the iconic images of Delaware, a scene that has captivated countless photographers and come to define the state’s coastal beauty: A grand old lighthouse that rises just off the beach, lashed by frothy waves as it stands sentry next to “The Point” at Cape Henlopen State Park. The vantage point to this lighthouse view also happens to be one of the best places for enjoying the spectacular natural beauty of the ocean and coast of Delaware. A land of gentle dunes and singing shorebirds, Cape Henlopen State Park is revered for its rich assortment of activities: sunbathing on the park’s six miles of shoreline; fishing from the jetty or beach; walking or cycling down the miles of wildflower-adorned trails that weave through dunes and wetlands. Families adore Cape Henlopen’s convenient camping sites, as well as its constant options for fun, ranging from Nature Center programs, to disc golf, to annual events such as the Delaware Kite Festival. When it comes to fun on the water, this is one Delaware destination that has it all. 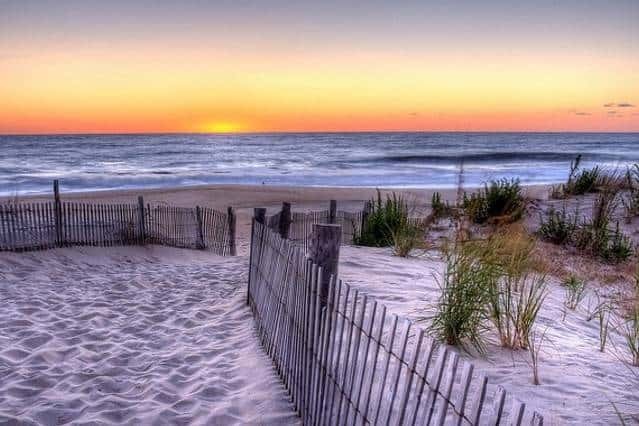 On its eastern side, Delaware Seashore State Park has 6 miles of ocean coastline and dunes, perfect for sunbathing, swimming, fishing or just chilling out. 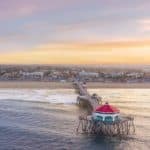 Right across the Coastal Highway to the west, the park faces Rehoboth Bay and Indian River Bay, both beloved by boaters and both great spots for all types of watersports, from paddle boarding to jet-skiing to water-skiing. On the ocean side of the 2,825-acre park, the two guarded swimming areas feature modern bathhouses with showers, changing rooms, snacks and beach-gear rental. Anglers love the park for its drive-on surf-fishing beaches (permit required), and also find plenty of good catches along the banks of the Indian River Inlet. The park’s Indian River Marina offers many services for boaters. Just north of the Indian River Inlet on the ocean side, the park has one of the few designated areas in the state for surfing. On the bayside, windsurfing and sailing (as well as crabbing and clamming) are popular pursuits. Away from the water, the action continues: Two picnic pavilions are available for family cookouts, and special programs, such as bay seining and marsh hikes, are held throughout the summer. In July, be sure to check out the popular Sandcastle Contest, where amateur contestants work their artful skills in sand. I agree, I don’t like crowded beaches either. I live on Clearwater Beach (#1 beach in U.S.) and it is way too crowded for me. I drive down the road to the other beaches which are less crowded, and so much more enjoyable. Thanks for stopping by Beach Travel Destinations. Oh, yes, I can already imagine my self and my kids being on one of the beautiful Delaware beaches. I’ll put this place on my bucket list! I loved watching the video, it made feel like I was walking there. I prefer less crowded places, though. Do you know some deserted beaches? This would be so relaxing. You won’t find a lot of deserted beaches in this area. Perhaps going off season will be your best bet. If you have another area you are interested in, please let me know and I can steer you in the right direction. Wow! Looks like many of their beaches are crowded! I think I would go to the ones that are less populated. Thank you for these suggestions. Yes, I think that everybody in Virginia heads to the beach 😀 Some do get crowded, and I am with you. I like the less crowded beaches. I live on a crowded beach, and I drive down the road to get away from the crowds! Thanks for visiting the Delaware beaches. When I think of beaches, Delaware is not on that list. Now I know differently. What great beach destinations. My wife and i are transitioning into RV living so we can travel this great nation, USA. We will put this on our map of travels in the near future. I have bookmarked your site for future reference and I look forward to more quality reviews such as this. Thank you Don, and you are right. Most people do not think of Delaware of having beaches, let alone beautiful beaches. They are quite wonderful and you will enjoy a visit to any of these beaches along their coast. Thanks for visiting Delaware beaches. I had no idea there were so many great beaches in Delaware! Having spent many hours driving I-95 between New York and North Carolina, I’ve spent some time driving through Delaware (admittedly not much as the state is much smaller than the others along the way) but now I’m intrigued. We’ll have to plan to make a stop on one of our visits and check out all of the sights! I don’t think most people realize how many nice beaches are along the East Coast other than the “main” areas! Thanks for reading about Delaware Beaches! Well, I’m not gonna lie, when I think about beaches I usually imagine myself in Florida or California. Nonetheless, after reading your post I realized that there’s so much more interesting places to explore! Rehoboth Beach seems very fun. I got this idea even before I saw the video, which means you did a great job explaining about this place. But I got say, I’d prefer to go to a calm place. Would you say Cape Henlopen State Park is a good place in this case? The picture you posted is absolutely beautiful and I’m very tempted to visit there now. 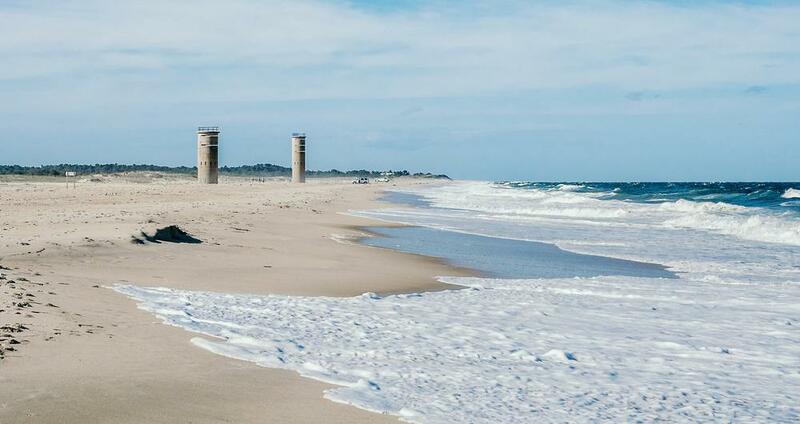 Yes, Cape Henlopen State Park would be a much better choice if you want peace and quiet 🙂 But Rehoboth is worth a visit! WOW!!!! I want to go the beach NOW!!! This site is incredible I will definitely be bookmarking this page. So much info and i never would of thought of Delaware for beaches. Thank you so much for putting this together and I wil definately be back to check in some more great vacation spots. You are most welcome Mark! Yes, most would not even think they had so much to offer! This website must have been designed with me in mind. Lol! I am a huge traveler and beach fan which is why I live in Florida. 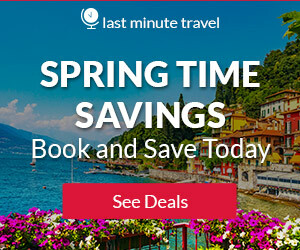 I learned some really good information about booking travel. I never knew about clearing my cache. Thanks for all the great info. You obviously did your homework. Who knew Delaware had so much to offer. To be honest with you, when I think of East Coast I never think beaches, I think because of how horrible the weather is in the winter the beaches get forgetting about by tourists in the summer, but this post really showed me that the east coast can indeed be a beachy destination, thank you for sharing. You are welcome, and I agree. It is a misconception about the weather. I certainly don’t want to be there in the winter, but summer is paradise! Thanks for visiting! Bonfires on Bethany Beach sound like so much fun. I live in Florida about an hour from the coast and my family loves the beach. We often check out different beaches because they all offer something unique. I have never been to Delaware, but I might just have to add it to my Bucket List! After reading Delaware Beaches, I want to go their now. I did not know Delaware has such gorgeous beaches. Your writing technique placed me on the beach drinking a Corona Beer. You followed through with great examples of beach images. Your site is clean and easy to navigate. You have a wealth of vacation info for every taste. Great job on your site. I am sure you will be a success.